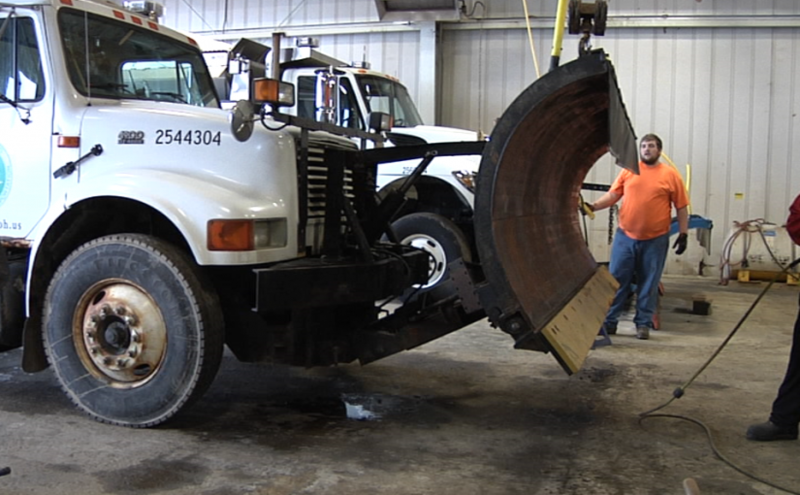 ZANESVILLE, Ohio – Ohio Department of Transportation District 5 has been busy this past week preparing their trucks for the snow storm. Muskingum County Manager Phil Valentine explained they’ll have crews plowing over 700 miles worth of open lanes from Dresden to Cumberland and New Concord to Gratiot. Valentine admitted that the rain has washed away any left over salt residue from the last snow fall and any type of pre-treatment sprayed before the freezing mix would also be washed away. Valentine said there is a chance that winds will have gusts reaching up to 30 miles per hour. By Sunday January 12, 2018 Valentine thinks the roads should be cleared and O.D.O.T. will be preparing the trucks for the next snow fall.